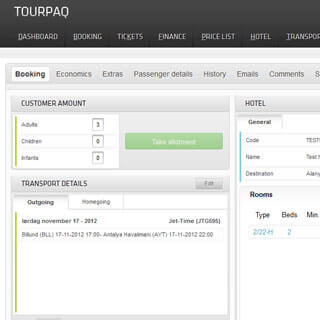 Our client is Tourpaq ApS, a Danish company that provides software solutions for tour operators. Their solutions for travel agencies and tourism services providers include data structure and SEO tools, finance management and payment monitoring tools, ticketing and credit management, automatic price optimisation tools and CRM and marketing solutions. data visualisations, price control automation, marketing and integration with multiple third-party systems, such as GDS systems, insurance companies or SMS and email systems. Tourpaq chose to work with us on this project after a series of meetings, during which the decisive factor was our ability to understand their specific problem and offer the most efficient solutions, as well as the technical proficiency of our software experts. Their requirements came from a practical perspective and part of our tasks was to provide them with consultancy in mapping out the exact specifications for the project, based on their practical needs, to identify the best solutions to address them, and to implement these solutions. Our flexibility and agile development methodology played from the beginning a key part in the success of our collaboration. The project’s main challenge was the complexity behind this type of booking system, as it needed to enable the efficient management of bookings, tickets, emails, finances, hotels, transportation, extra products, pricelists, customers and much more. The solution is made up of several components, which enable the tour operators to manage all of their departments and fully automate processes. 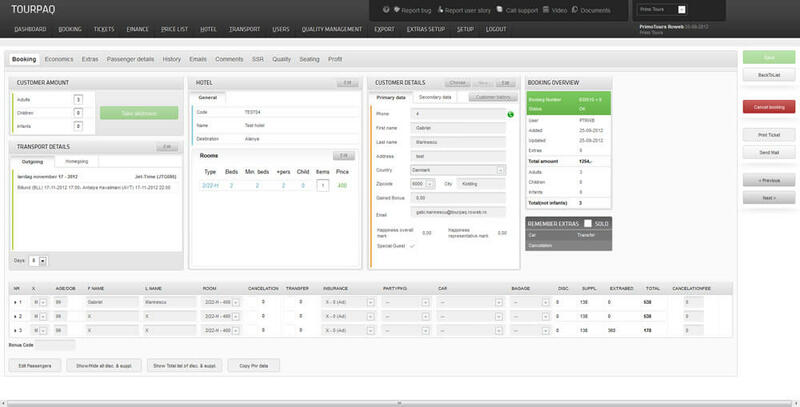 For a Marketing Manager the CMS system enables managing descriptions on all products sold, an integrated survey system ensuring an accurate feedback from customers, newsletter integration and automatic integration with portals such as Momondo, Travel Market, SkiSport or Facebook. Top Management can perform simulations of sales and costs per departure, destination and much more. 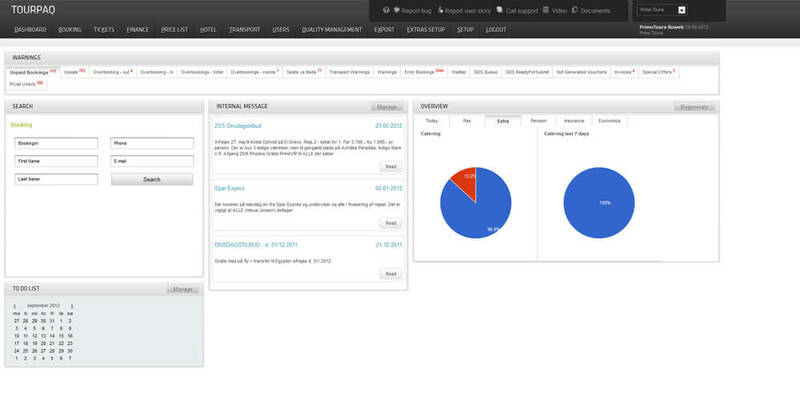 Dashboards are provided for quick overview and fast status checks for multiple goals. Brand Managers can easily control prices, make price adjustments or generate special offers, control sales, view load factor for hotel beds and seats on plane. 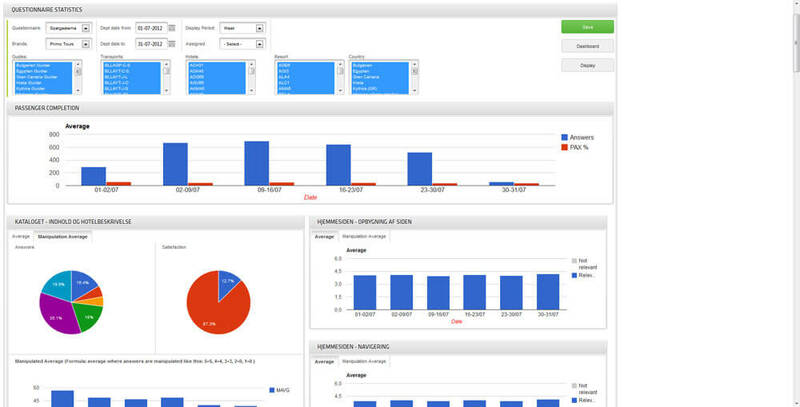 Actionable data like detailed profit, cost and sales statistics are also available and are shown in a dashboard overview and the user can also enable alerts related to these metrics.